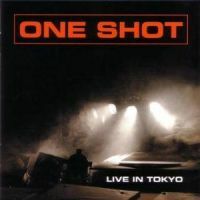 After almost ten years of silence, the great French group One Shot, one of the best Zeuhl acts around, returns with another live recording, this time recorded in Japan. Although the group's members visited Japan before as members of Magma, they never played as One Shot there. This recording features the new keyboards player Bruno Ruder, who replaced the founding member Emanuel Borghi and who of course also replaced him in Magma. Fusion and Zeuhl that works for them always certainly works wonders this time as well and every Zeuhl fan will enjoy this album immensely! A must!